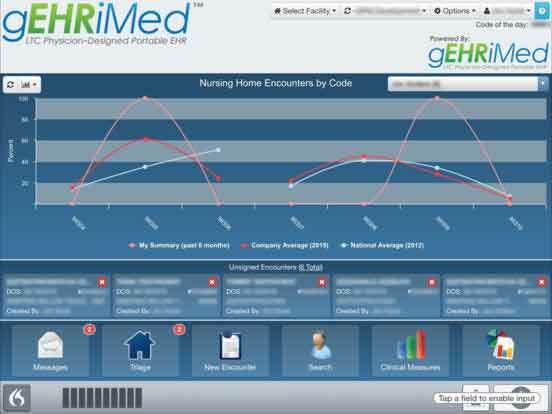 GPM announced today the release of CareTeam, a Senior Care collaboration platform. CareTeam was developed to help the Senior Care community to: Enhance Communication, Prevent Rehospitalizations, Manage Change in Conditions, Boost 5-Star Ratings, and Optimize Reimbursements. View patient insights such as: Rehospitalization Rates, Frailty Indices, Patients at Risk, Medicare vs. Medicaid Patient View. CareTeam was developed in response to the need for a more comprehensive and secure solution that would support instant-access to patient information, strengthen communication between the Senior Care facilities and practitioners, and address the rapidly changing regulatory requirements. “Caring for residents in LTPAC facilities was always challenging. The individual caregivers, physicians, therapists, and pharmacists often work for different organizations. Each is subject to different Federal regulations – yet expected to deliver coordinated care. 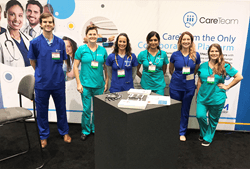 CareTeam is a very simple, and elegant, solution for organizing a virtual care team; it offers a common patient centric view to anyone with secure internet access,” Rod Baird, President Geriatric Practice Management. The LTPAC market is one of the most complex and costly patient populations in healthcare. As the market evolves from a fee-for-service model to a value-based care approach, an increased focus on reimbursement tied to level of complexity and quality outcomes is driving new practice models that are not currently employed at scale. Care Team’s patient insights are the first to use a validated frailty score to predict clinical risk. This enables medical providers to have objective data illustrating the significance of clinical complexity while assessing patients and facility operators to be on the forefront of managing outcomes. GPM is a software solution and services company devoted to the support of the LTPAC community. A focus on solving LTPAC’s unique problems has made GPM the market’s leading provider of medical EHR solutions, with the GEHRIMED EHR as the flagship product. GPM believes in the potential of powerful, intuitive technological solutions to make LTPAC professionals jobs easier, more profitable, and more effective.